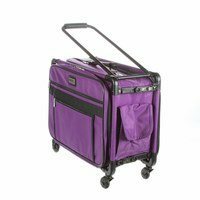 These versatile carrying cases are ideal for sewists on-the-go as well as travelers. 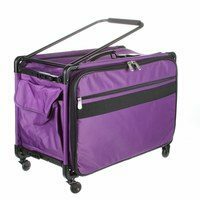 Measuring 22in long by 15in high by 12in deep, this wheeled case is ideal for storing and transporting sewing machines. When your Tutto case is not in use it can be folded up for easy storage. 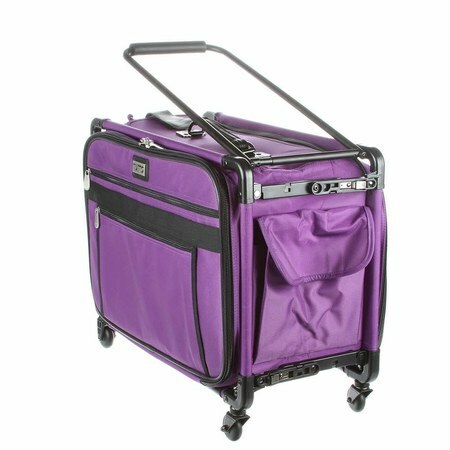 The sturdy frame protects your machine and equipment. 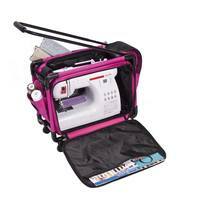 All your notions, sewing supplies, and tools can be carried with your machine in the many side pockets. Easily access your sewing machine from the top or side of the case. 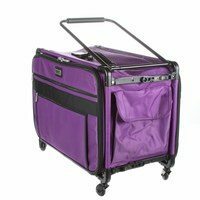 Tutto cases make perfect sewing machine cases, overnight bags, brief cases, or computer bags. These compatibilities are for your reference only; please measure your machine to ensure a proper fit.